There are families all over the world who are struggling to cope with the declining health of their elderly loved ones. You normally have that sense of obligation to care for those who have once done the same for you. Situations like these create much more of an impact on career-oriented individuals, ones with busy schedules and thriving careers. The guilt of constantly having to leave a family member behind while he struggles to perform the most basic of everyday tasks will kill you. Your family has to be there for each other, in these times more than ever. A home health aide is just the professional you are looking for. They can help your normally struggling relatives live their day-to-day lives much more comfortably, assisting them in any task they have the slightest difficulty in accomplishing. If you’re looking for one, make sure they possess the following qualities: patience, compassion, expertise, and experience. These traits make them the ideal candidate to entrust the care of your loved ones to and allow you to put aside all your worries. OptimumCare Home Care Services, a reputable and well-respected establishment in providing non-medical home care in Opitz Boulevard Woodbridge VA, will provide you the ideal home health aide. We will give you and your loved ones hope when it may seem that there is none. The days when you’d be late for work from staying up all night would be but a distant memory. You’d never have to sacrifice your career to take care of the people you love because there would be no need to. Most importantly, you’d start to see some light back in the eyes of those you care about as they slowly start to get better. Our company provides certified and well-trained home aides to be at your elderly relative’s service. 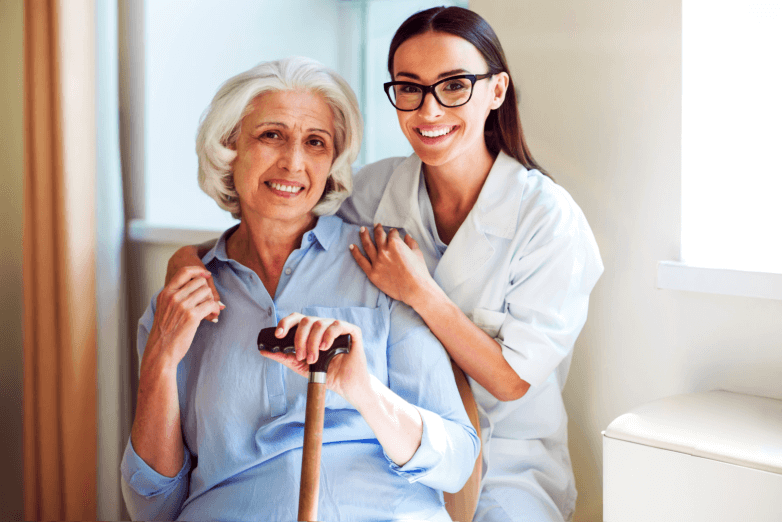 When it comes to non-medical home care in Opitz Boulevard Woodbridge VA, we provide reliable professionals who can give you everything you need. Your loved ones would be assisted in meal preparation, toileting, dressing, bathing, and the other activities they do every day. This gives you the peace of mind to work without any nagging thoughts about how they’re doing at home. Not only would their lives become easier, yours would be as well. Your situation is not easy. We at OptimumCare Home Care Services understand, more than any other, what it is you need. Allow us to give you that and lighten your load. Through us, you can help your elderly loved ones live the rest of their lives in the best way they can.